As ever the world is becoming a more complex, especially in the workplace. These days, a far greater demand is placed on legislative compliance, health and safety as well as technical expertise. Now, customers need far more than a sales and hire capability when it comes to lifting operations. So, M4 Lifting has invested heavily in contemporary lifting services to offer its clients unparalleled expertise and service right across Llanelli, Neath and Port Talbot. There can be a very serious risk to the efficiency and safety of lifting operations with lifting gear coming that is approaching the end of its life in service. 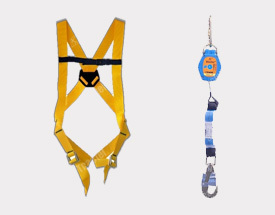 As a consequence, repair, maintenance, examination, inspection, testing and final certification of all types of lifting equipment must be adhered to rigorously. M4 Lifting are specialists in all aspects of lifting. Our sole purpose is to ensure that our clients receive the most cost effective services when they need them to ensure that productivity is not compromised and their lifting gear has full legal compliance, is fit for the use it is intended for and most of all, safe to use. 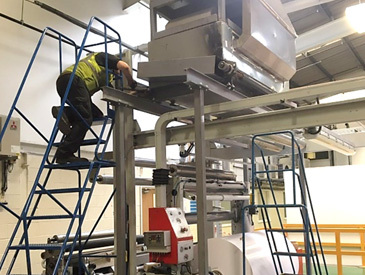 We can provide expert advice on a complicated lift requiring risk assessments and method statements, height of lift issues, and the right equipment for a particular job. 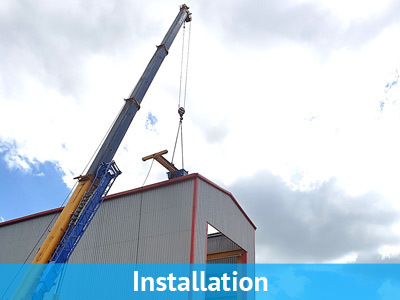 M4 will provide the most suitable, safe and speedy solution to your lifting needs and work with you to deliver the desired result at the first time of asking. 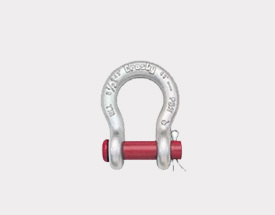 In addition, we also, sell an extensive range of top quality, material handling and lifting products from brand leading manufacturers. 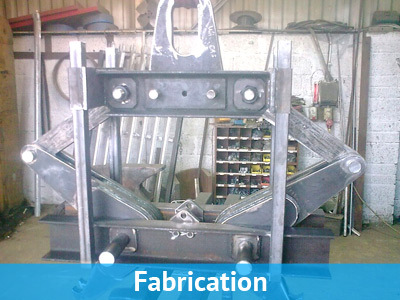 M4 L ifting Services engineers have over 40 years experience providing inspection and certification for all types of lifting gear throughout Llanelli, Neath and Port Talbot for manufacturing, engineering, construction and marine applications. We possess all the expertise, skills and experience to make sure that your lifting gear is has full legal compliance and your range of lifting equipment is easier to manage. 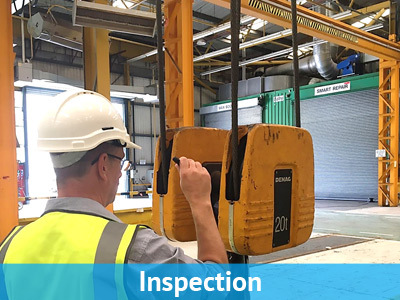 M4 also provide an “online” lifting equipment inspection register which provides real time access to the status of every single item in a customer’s lifting inventory with the ability to print off test and inspection reports instantaneously as required. 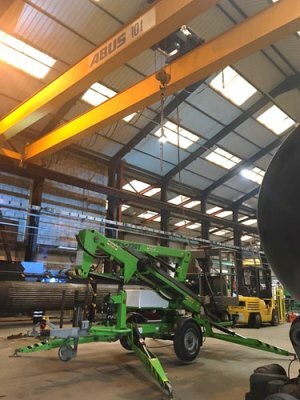 This service provides “peace of mind” to our customers and confidence in the knowledge that their operations are complying with the LOLER (Lifting Operation and Lifting Equipment Regulations). 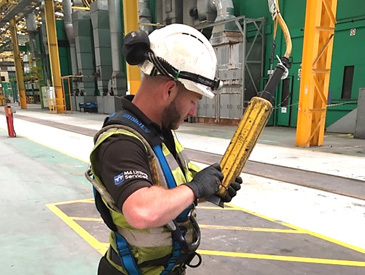 M4 Lifting test and inspect customers’ lifting equipment for conformity with existing regulations using contemporary “online” certification registers, working practices and testing equipment for all types of lifting gear. A comprehensive array of light load, proof load and safe working load tests can be carried out using simulated or “live” loads. 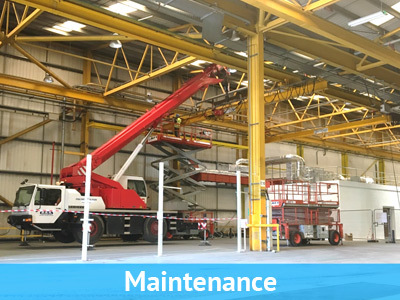 M4 Lifting provide and in depth repair, maintenance and refurbishment service from our own comprehensively equipped workshop or at customers’ premises or job sites as required. We hold in depth “spares” stock covering different types of popular lifting and materials handling equipment to conduct essential repairs with no additional frills. All completed work is covered by inspection reports and thorough examination certificates for the equipment serviced. Wherever you are in Llanelli, Neath or Port Talbot, please give us a call. We really look forward to exploring how we could provide great lifting equipment services to your organisation.